Bill’s excellent research continues in a brand new DVD that is sure to be super controversial. APOCALYPSE ROAD: Revelation For the Final Generation is available in book-form right now and in 2 weeks, it will be available on a 100-minute DVD presentation. Bill believes this is his best research to date on a series of fascinating subjects that are happening right before our eyes—IN OUR GENERATION! This thesis is based upon the major premise that a gap of time exists between the Pre-Tribulation Rapture and the seven-year Tribulation Period. The minor premise is that it is not the Rapture, but the confirmation of a covenant by the Antichrist between Israel and some other party that triggers the ticking of the Tribulation period. This covenant is identified primarily in Daniel 9:27 and Isaiah 28:15 and 18. 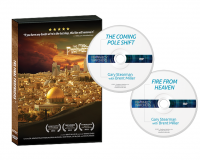 Determine how long the gap period could be from the clues provided in the prophecies that find fulfillment within this vastly overlooked period. Set the world stage as it transitions from the Church age, which concludes with the Rapture, into the gap period that follows. Reveal the potential connection between the Marian apparitions and Ezekiel 38. Introducing the Antichrist as the white horseman of the Apocalypse, (Rev. 6:1-2). 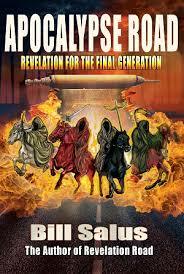 Examine the wars that plague the planet through the fiery red horseman of the Apocalypse, (Rev. 6:3-4). Warn about the wide scale famines, pestilences, and economic upheavals that occur during the ride of the black horseman of the Apocalypse, (Rev. 6:5-6). Put a face on the fourth horsemen of Death and Hades of the Apocalypse, (Rev. 6:7-8). 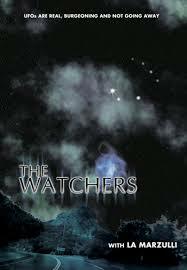 Reveal the identities of the three primary groups of martyred believers after the Rapture, which are the fifth seal saints, their fellow servants and their brethren, (Rev. 6:11). Identify Roman Catholicism as “Mystery, Babylon The Great, The Mother Of Harlots And Abominations Of The Earth” of Revelation 17:5. Determine who the two parties are to the seven-year covenant that starts the Trib-period. Define the true content on what is commonly called the false covenant of Daniel 9:27, as it pertains to the “overflowing scourge,” of Isaiah 28:15 and 18. Reveal the Lord’s hidden message to the 144,000 Witnesses in Revelation 7:1-8. Identify the Two Witnesses of Revelation 11:3-13, and demonstrate how they serve as God’s rebuttal to the false covenant. Most importantly, the sincerest goal of this timely and unique work is to forewarn and prepare EVERYONE for the SOON ARRIVAL of this treacherous Post-Rapture / Pre-trib gap period! Many readers will get Raptured as true believers of Jesus Christ before this gap period commences. The good news is that they will not personally face the frightening events that are forthcoming in the gap period. The bad news is that someone they love will! This work has been specifically designed to stimulate the mind and pulsate the heart of believers, and to invigorate their love for the lost. Careful consideration in that regard has gone into the overall content of this entire composition. If you are concerned about the eternal destiny of an unsaved loved one, then consider Apocalypse Road as your invaluable guidebook for these last days. The biblically supported scenarios within this book will embolden you to share the good news about Jesus Christ with the ones you love. 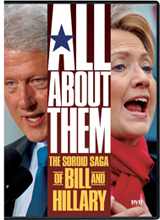 Once again, Bill is breaking new ground in this new interesting DVD. It’s also available in book form in our online bookstore.